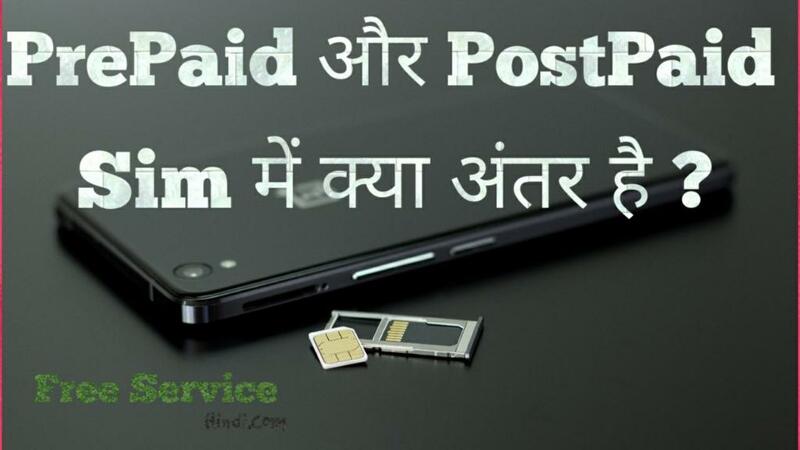 Prepaid and Postpaid Meaning in Hindi - FreeServiceHindi.com - Free Services in Hindi. 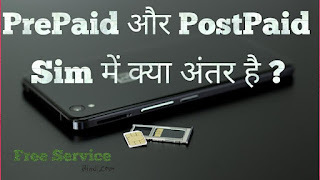 में आशा करता हूँ कि आप जान गए होंगे कि Prepaid और Postpaid Sim Card का मतलब क्या होता है। और आपको हमारा आज का पोस्ट "Prepaid and Postpaid Meaning in Hindi" कैसा लगा यह भी कमेंट कर जरूर बताएं। और अपने दोस्तों के साथ भी शेयर करें क्योंकि Sharing is Caring. Tags- prepaid meaning in hindi, postpaid meaning in hindi, prepaid and postpaid means in hindi, difference between prepaid and postpaid in hindi, postpaid in hindi.